Bows and arrows have always been around since the dawn of fire, and many civilizations were built and destroyed because of this seemingly simple-yet-sophisticated technology. Back in the day, the use of reflex bows were reserved for the selected elite who precisely knew how to point, shoot and retreat. The use of this type of bow involved a highly technical skill, and it evolved as a foraging, protection, fighting and sporting tool in that order. 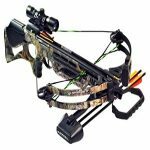 Modifications were made in 1966 in Missouri, US and thus, the compound bow was born. 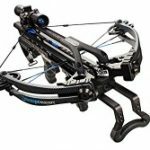 Although the new technology added in way more features than the more straightforward reflex bow-and-arrow, the compound bow allowed hobbyists, such as myself, to take in archery as a sport for this significantly improved the bow’s precision and stability. 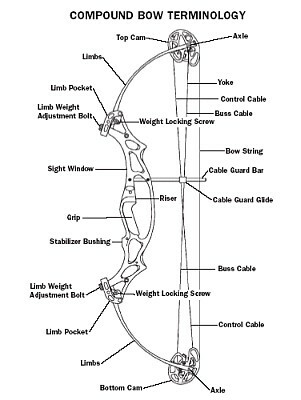 It is useful to understand that a compound bow operates under the “let-off” system, wherein pulleys (also called “cams”) on both sides of the bow allow the user to use less energy and gain greater control over the trajectory of the arrow. 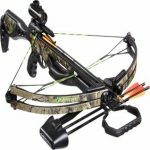 This system increases the rigidity, precision and accuracy elements of the compound bow. Riser – considered the backbone of any compound bow, this is smacked right at the center of the bow giving balance and stability for the entire instrument. Limbs – attached to the riser, this is the most flexible yet most durable part of the bow. Usually made of fiberglass, it holds in the energy placed by the user as he/she pulls the string. 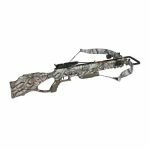 Cams – this is what sets apart a compound bow from all the other bows. Attached to the limbs, cams are the round (or sometimes oval) disks on each side of the bow that makes it easier for the user to pull back and let go of the string without losing power. 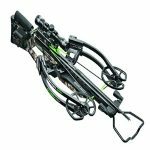 Unlike a reflex bow-and-arrow where a user needs to precisely know the draw-in and draw-out points for each pull, this additional piece in the compound arrow makes this balancing of energy so much easier and achievable. Bowstring – usually positioned with a D-loop, this allows the arrow to launch without losing its trajectory. Sight Window – this is the small circular plastic attachment placed along the user’s line of sight, used for proper aiming. Beginners usually use a fixed pin; and more advanced users upgrade to a range finder, movable pin sights or pendulum pin sights that have the additional feature of measuring distances. Stabilizer Bushing – also called String Vibration Arrester, this absorbs the vibration of the entire bow after every single pull and let go. This is important in giving stability for the bow making it easier for the user to manage every single shot. 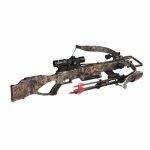 Optional parts (Stabilizer and Mechanical Release) – these are add-ons usually used by professional hunters to further give precision and stability to their bows. These also allow for the significant reduction of sound and vibration produced by every single shot, an important element with animals being ultra-sensitive to the slightest sounds and movements. Budget range: be realistic and as a beginner, it is but wise not to overspend on your first compound bow. The “perfect bow” cannot be determined on your first pull; in fact, you have to keep on using it for the first few months to get a feel if it’s the right one for you. It can be quite expensive especially when you compare this kind of bow with other types, so if short in cash, buy a secondhand from someone you know. For beginners, the most important thing to consider is to be at ease with the use of a compound bow. Consult with someone you know: it’s better to go visit an archery shop with a buddy who seriously knows his/her stuff. It cannot be avoided that shop staff will get you into buying things you do not really need, so it is highly advisable to have a knowledgeable person join you as you shop around. Know your body weight, height, and arm span: the size and weight of the compound bow you buy should be directly proportional to your weight, height and arm span, so it’s better to have these measurements ready when you get in a shop.